Moustakos – Lakkos - Sklavopoula – Koundoura – Paleochora Grade: **** Total Distance 36.1 km. 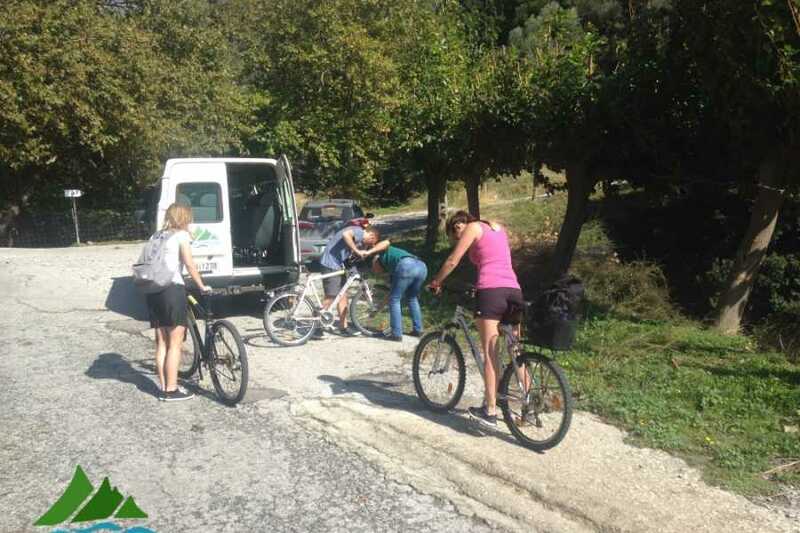 This tour is a real challenge to test your fitness. 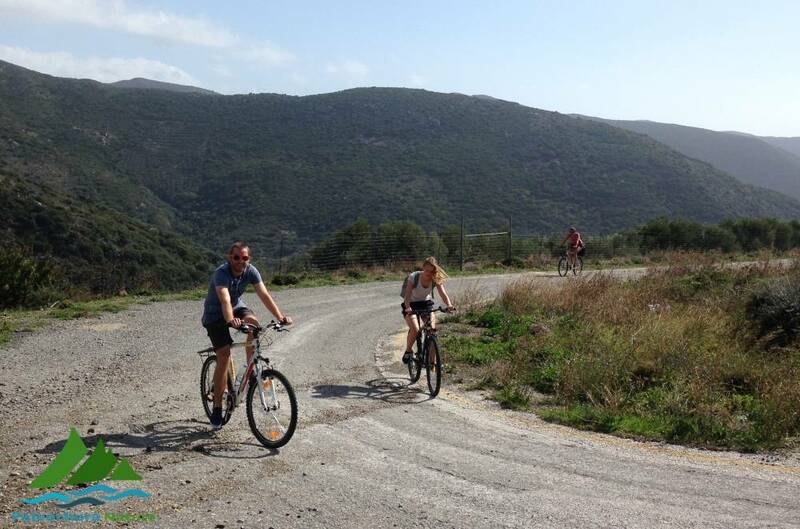 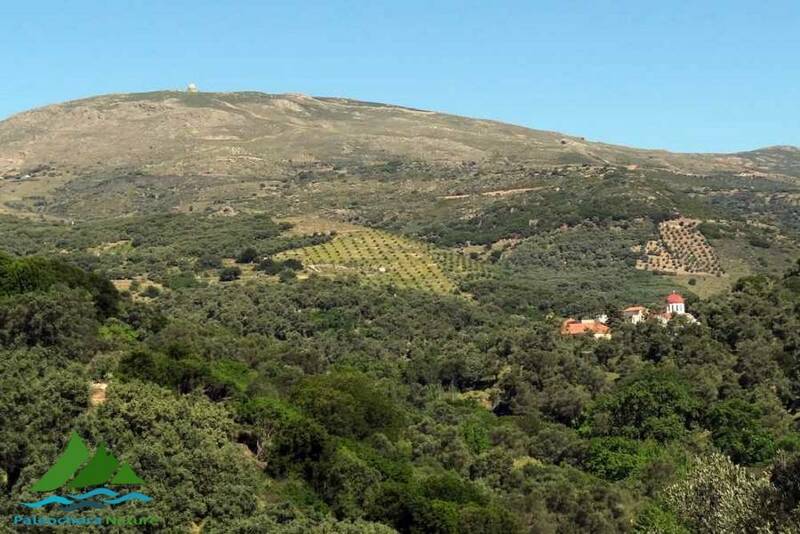 The start is deep into the mountains in the isolated village of Moustakos (550). 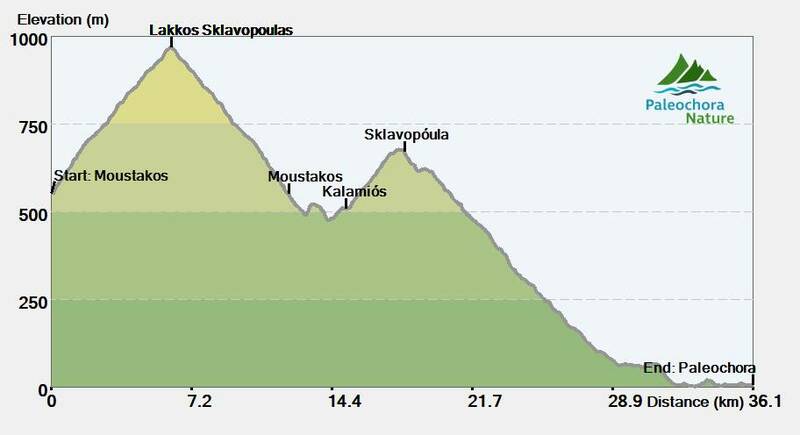 Here begins the climb of 6 km. 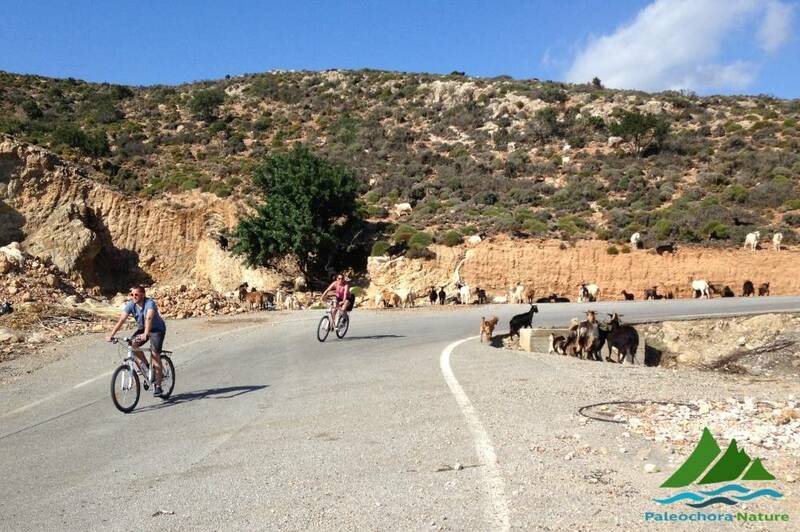 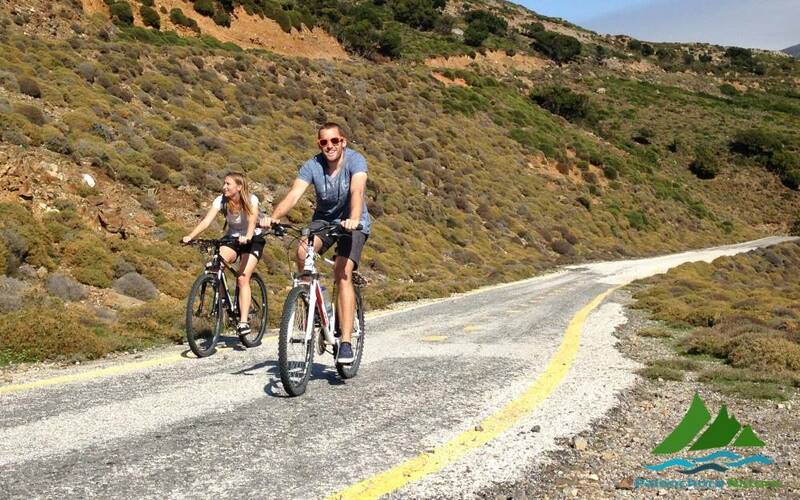 along a seldom used, narrow tarmac road to the top of Mount Lakkos (1018 m.). The end is an army post at the top of the mountain from where you have commanding views over Southwestern Crete. The reward for the effort is a 1000 m. descent over 18 km. 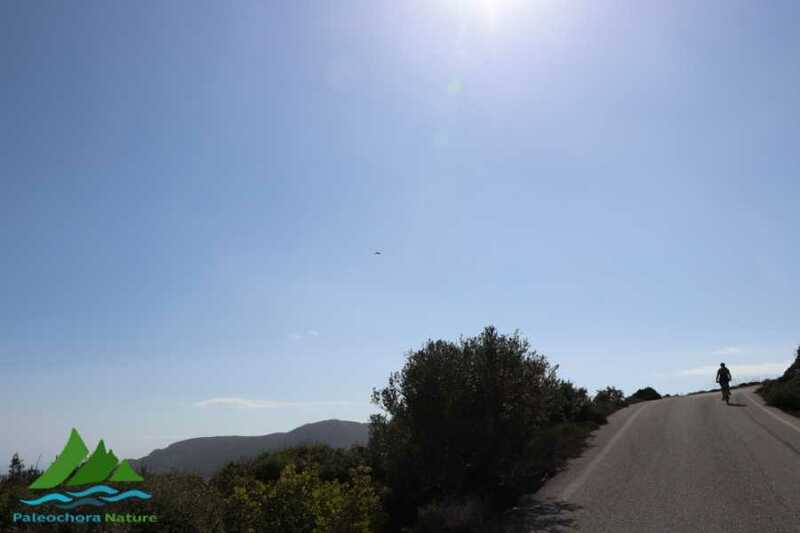 mainly over wide tarmac roads down to the greenhouse village of Koundoura. 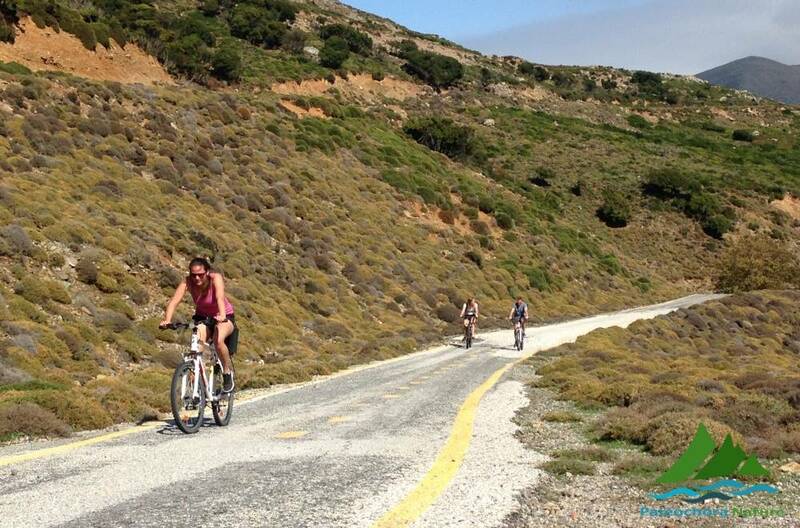 The last 6 kilometers back to Paleochora are along the coastline. 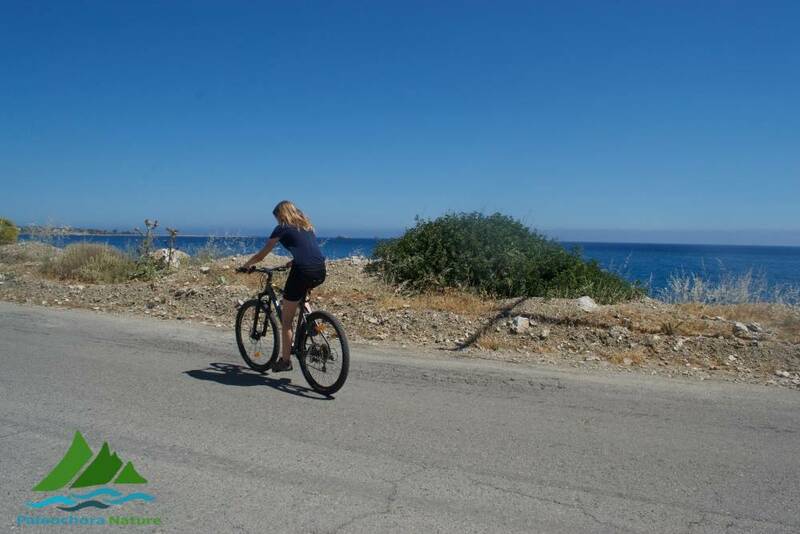 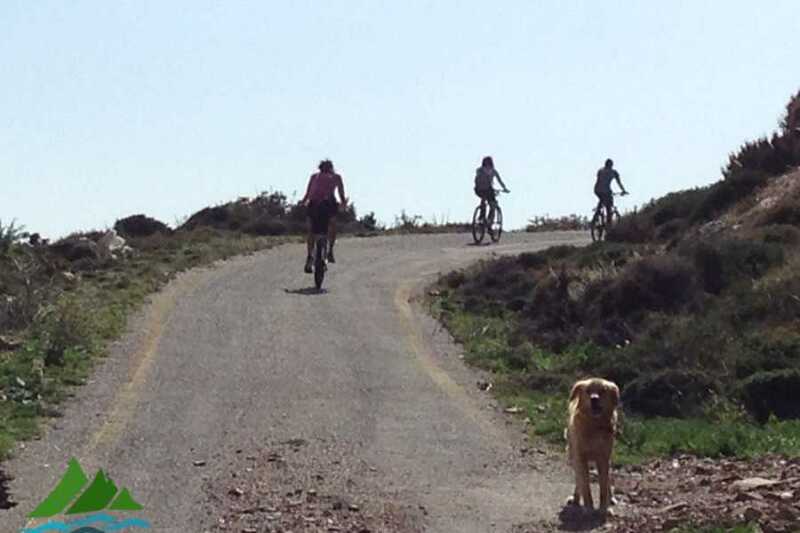 Price: € 20.00, which includes a map, route description and GPS track, and the transfer per minibus for you and your bike to the start of the tour. 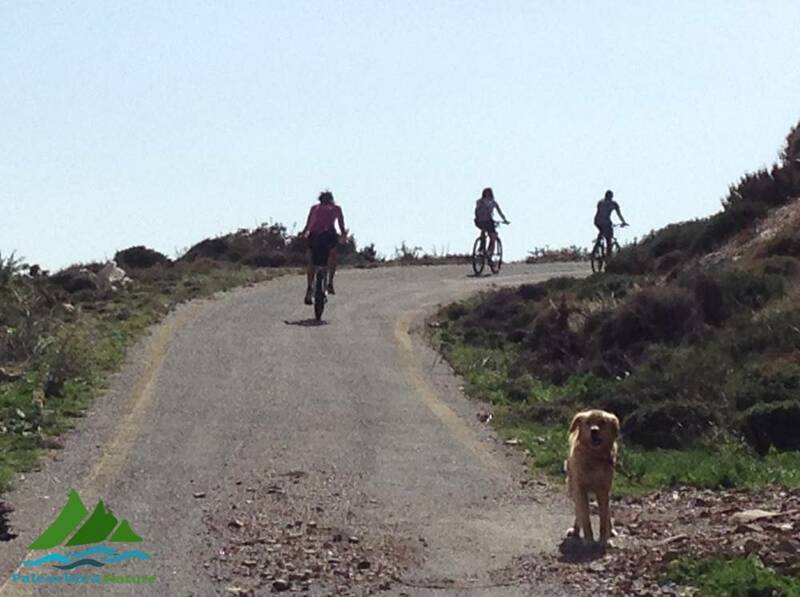 You can also book and pay in our office at the Kontekaki Street (next to the Chania Bank) in Paleochora. 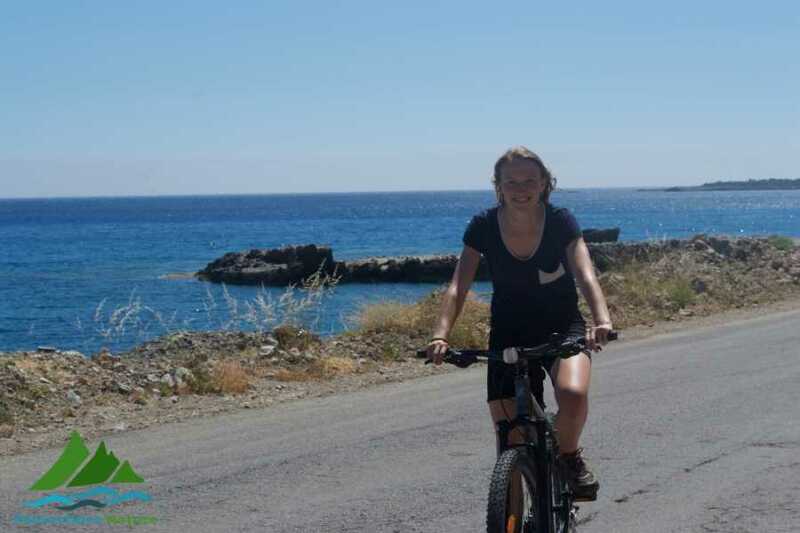 Duration: 2.5 - 3.0 hrs. 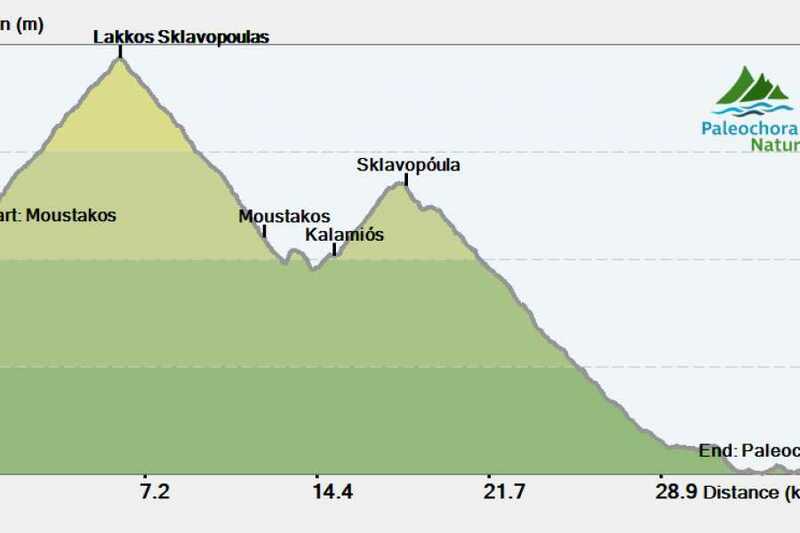 Transfer: Paleochora to Moustakos at an altitude of 550 m.
Total ascent: 720 m. Total descent: 1270 m.